Where are our counter celebrities? How do you sell a product which mainly contains sugar and water? The only answer one can give to that is the use of language. A 300 ml can of cola has almost 10 teaspoons of sugar, yet cola, which is one of the most addictive products in the world after tobacco and alcohol, has become a style statement. “Initially the colas were sold as a medicine for stomach pains, memory loss and even for deaddiction, to wean away people from morphine addiction. Soon the product became entertainment and it is the language of entertainment that surrounds it. It is no wonder that entertainers are drawn to it. 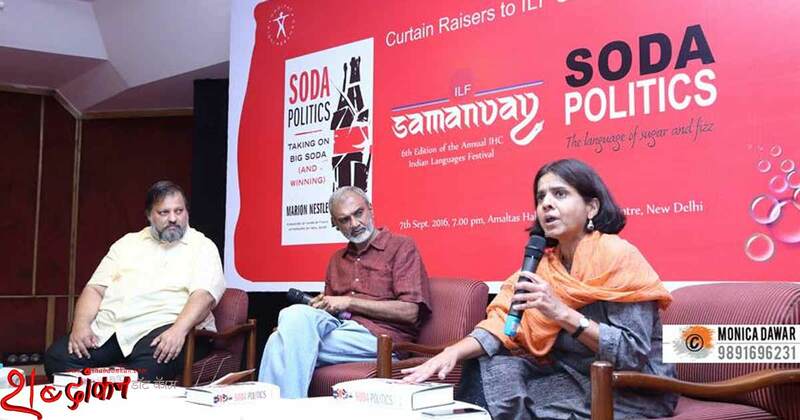 They use corporate social responsibility projects to give their image, sheen,” said Satya Sivaraman, senior journalist working with ReAct at Uppsala University, at the fourth leg of ILF Samanvay’s curtain raiser event, Soda Politics: The language of sugar and fizz, at India Habitat Centre, triggered by Marion Nestle’s tome Soda Politics: Taking on big soda (and winning). “If anyone drinks so much sugar at once, they will vomit and to mask it, phosphoric acid is used; it gives the colas a citric base. The most interesting bit is that they are allowed to sell such large amounts of sugar to children. Shah Rukh Khan and Aamir Khan are advertising it,” added Sivaraman. “A few years ago, Pepsi ran an advertisement which stated – be yourself, drink Pepsi; but if I were myself, why would I drink Pepsi. It was, instead, telling millions of people to join the mass addiction,” pointed out Sivaraman. Under the framework of #notonguesbarred conversations, the panel, which included Sunita Narain, director general of the Centre for Science and Environment, and Sourish Bhattacharyya, a food columnist and restaurant critic, underlined the fact that food is our business. It should not be any company’s business because it is personal and it is important for us to know why we eat it. “When we came out with our study on colas, who was it that they put against us? Aamir Khan in a white coat. What does he know about labs, nutrition and food? They put Shah Rukh Khan too say it is safe to drink it. It is the use of these icons which needs to be stopped. Celebrity endorsement of any junk food is not allowed anywhere else in the world – only in the US and only in India and maybe China as well. We are the three guinea pigs for these companies,” said Narain. “One of the biggest sponsors of cricket is Pepsi. In fact, Coca-Cola entered the country by sponsoring the cricket world cup. They have always tried to appropriate images of athleticism, virility, physique; they have tried to spread the notion that it is healthy,” added Bhattacharyya. “This is a tribute to the advertising industry; how they have sold us water with sugar with a bit a coke leaves and created an addiction,” noted Narain. In the last 60 years the global intake of sugar has gone up thrice and the population has doubled in the 50-70 years and the sugar production has tripled. This has been responsible for a whole range of health issues. “Sugar is not only used in your colas, but in your bread, noodles, almost in all products. There was a movement against addition of fat in food, and ever since the food industry has been subtly adding sugar in all products. They use addictions to sell products,” added Sivaraman. “One of the people endorsing Marion Nestlé’s book is Alice Waters, a chef and an alternative food exponent. We need a culture of counter celebrities. In battle of languages, we need to create an alternate language. We know what things are wrong, now we need to say them right. A lot of practitioners are now talking about an alternative food culture. We have to start telling people there are alternatives. We have to realise that packaged food needs sugar and salt for longevity,” said Bhattacharyya. “This brings to question, what are the regulators doing?,” asked Sivaraman. “I don’t know what the ingredients of colas are even after being on a join parliamentary committee on them. They have created a fashion and glamour quotient out of it. In some sense, what we have to learn is that some companies can create aspiration out of water and sugar. It means we are really dumb,” pointed out Narain. She went on to draw parallels between her experience on the committee and Marion Nestlé’s examples because the whole discussion focused on the importance of these industries for the economy. It was because they generated jobs, income and a certain lifestyle. “It is the tobacco story all over again. 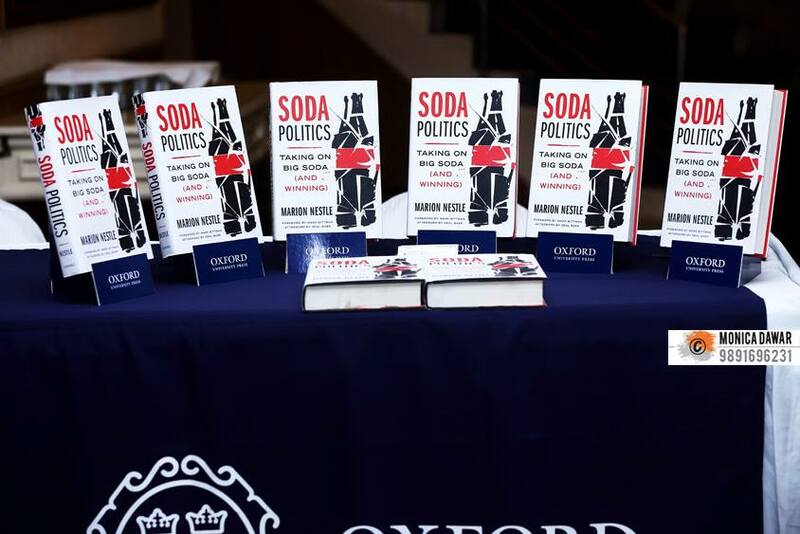 The interest of the sugar farmers becomes the interest of the cola fraternity,” added Narain. “Since the JPC, our interests have also remained in the food segment. One of the problems we found was the issue of labeling. One bottle of cola is equivalent of a day’s quota of sugar. I wouldn’t have a problem if tell the child that if you drink this cola, for the rest of the day, you aren’t going to get any more sugar. It is same with Maggi noodles. If you have one packet of Maggi, your 75 per cent of salt quota for the day is over. 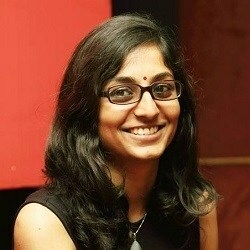 Shouldn’t the child be informed?” asked Narain. What Marion Nestle highlights is the regulatory failure on all these companies. “What happens in the US is happening here today. That is what we have to fight about. She explains how the issue of sugar in the colas was well known to the US Senate and that people shouldn’t drink colas. Yet, that language was whittled down. They use terminology such as HFSS, which means high in salt and sugar, which translates into empty calories or just junk food to alienate people,” said Narain. “We have people like Baba Ramdev who are selling products in the name of selling an alternative. It is time we investigated them to check if they are selling the alternative we need. Recently, Chandra Bhan Prasad was talking about a study in Azamgarh districtin Uttar Pradesh where that most Dalit children, if they crossed age 4, then they lived up to 90. Their longevity was more than the Thakurs, who ostensibly were eating better. Why do these Dalits live longer, because they were eating low glycemic bajra. They were eating this because that was what could be cultivated on their arid lands. But, in the homes of the Thakurs, the bajra was being given to the cattle. 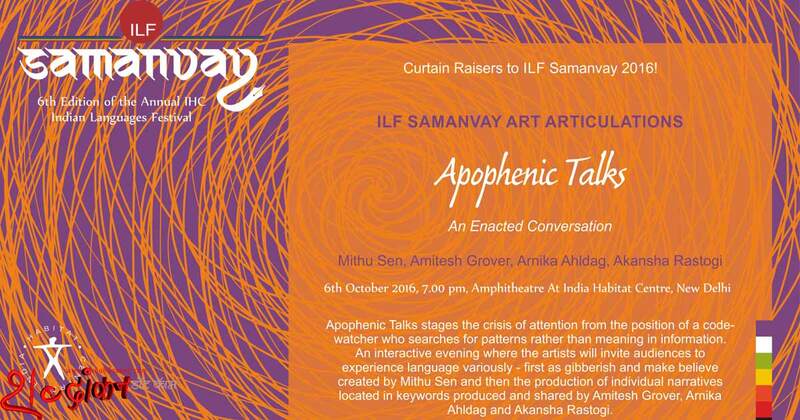 Now everyone is talking about millets, ragi, bajra and sorghum,” said Bhattacharyya. “It is important because very little is written on how we, as societies, are changing our food culture. There’s clearly an interest in changing the culture,” said Narain. “What is considered the language of subversion is now the language of reason,” said Bhattacharyya, adding that a counter culture should begin from our cities.